Should BFP remove all David Thompson ‘piggy’ cartoons? 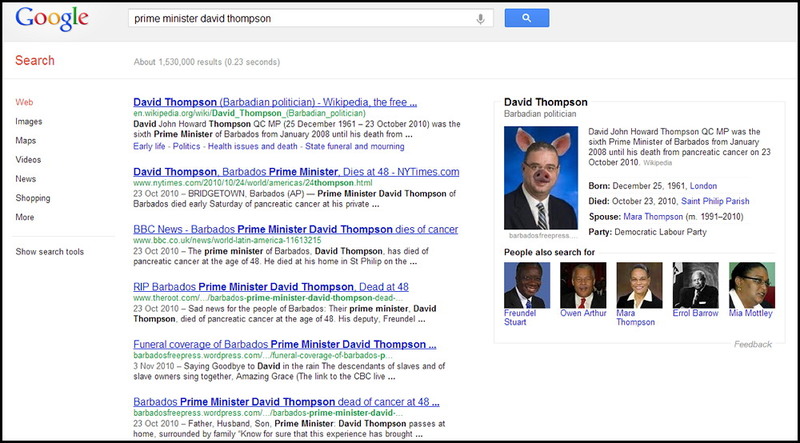 Google search for deceased PM Thompson. Click photo for larger version. Should Barbados Free Press remove cartoons of deceased politicians? Well folks, what do you think? We haven’t created any new political cartoons of David Thompson since he died because 1/ We have a new Prime Minister in charge of corruption, and 2/ We don’t think we should create disrespectful political cartoons of dead people, at least in the immediate time after their passing. 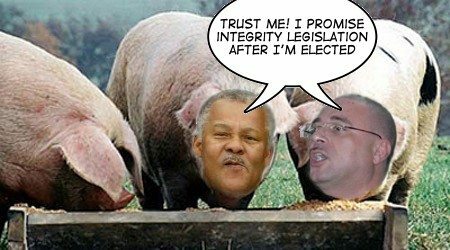 We are aware though, that had David Thompson lived he would have been savaged in the coming election for the breaking of his election promises regarding integrity and transparency, his corrupt actions relating to the CLICO fraud and many other actions of the DLP piggy government. Should we remove the David Thompson political cartoons? All of them? Some of them? Just the piggy ones? Just the ones deemed ‘disrespectful’ by our readers? Should we remove the one about David Thompson’s corrupt relationship with Leroy Parris and his free use of a corporate jet when the Barbados Government provided favours to the corporation? They showed this movie today at adult bible class and it was all people could talk about for the rest of the day. I cannot say that I ‘enjoyed’ the movie, but I couldn’t turn away. Watch it and you might consider posting a link. BFP SAYS: CAUTION – mature theme, horrible images of Holocaust, abortion etc. Made me think though. Nothing like a little resume padding to get elected or enhance your image! Caught peeing away his credibility? We at BFP have a natural sympathy towards Barbados Minister of the Environment Dr. Denis Lowe, as we would have towards anyone who just came back from death’s doorstep. Dr. Lowe is looking better and thinner these days after spending some time in Intensive Care at the QEH and being out of action for many months. We wish him well and we’re happy to see him recovered. But seeing as the Minister is back and fit enough to resume his duties, perhaps he can make some time to explain to voters the big differences between his stated professional qualifications and career experiences – and an official letter published by The Bajan Reporter. 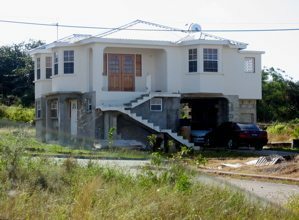 It seems that Dr. Denis Lowe and the DLP Democratic Labour Party have a little problem with credibility. Well, maybe not such a little problem.